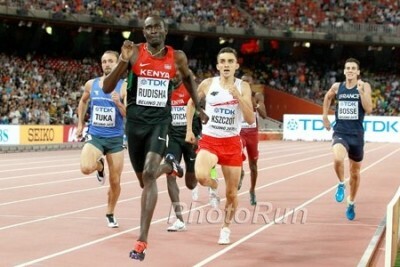 David Rudisha ran 1:40.91 to break the world record. It remains the only time in history a human being has broken 1:41. 18-year-old Nijel Amos ran a world junior record of 1:41.73. Every single finisher set an all-time best mark for place — first through eighth. Two Americans, Duane Solomon and Nick Symmonds, broke 1:43. Only one other American in history (Johnny Gray) has ever done that. Andrew Osagie ran 1:43.77 and got last. If you want to watch that race again, click here (the Olympic channel on YouTube doesn’t allow embedding). In terms of pure quality, it’s impossible for the 2016 Olympic final to live up to the 2012 edition. Thanks to a knee injury that cost him much of the 2013 season, Rudisha is not the same runner he was four years ago, and without him acting as rabbit up front, the times won’t be as dazzling in Rio as they were in London. But that actually helps from a competitive standpoint. In 2012, it was nearly a foregone conclusion that Rudisha would win. This year, the race is much more open, which makes a normally chaotic event even harder to predict. Alongside Rudisha (who remains the favorite), you’ve got 19-year-old phenom Alfred Kipketer, the 2014 World Junior champ who beat Rudisha to win the Kenyan Trials. There’s Poland’s two-time defending European champion Adam Kszczot, who took silver behind Rudisha in Beijing last year. There’s last year’s fourth placer, Ferguson Rotich, who also beat Rudisha at the Kenyan Trials. There’s France’s Pierre-Ambroise Bosse, winner of two Diamond League events this year. There’s Canada’s Brandon McBride, who has flourished since finishing as the NCAA runner-up to Donavan Brazier in June. There’s 2012 Olympic 1500 champ Taoufik Makhloufi. And yes, there are Americans Clayton Murphy and Boris Berian, both of whom are legit threats to earn the first U.S. medal in this event since 1992 — before either of them were even born. We try to make sense of one of the Olympics’ craziest events below. There’s a good case to be made for David Rudisha winning this race and becoming the first man since to win back-to-back Olympic 800 titles since New Zealand’s Peter Snell in 1960 and 1964. Still, the 27-year-old is certainly not a lock. Though Rudisha delivered as the favorite four years ago, the history of the 800 at the Olympics is full of upsets: Steve Ovett taking down Sebastian Coe in 1980; unheralded Paul Ereng coming out of nowhere to win in Seoul in 1988; Nils Schumann shocking Wilson Kipketer to win in 2000. With that in mind, we present four reasons why Rudisha will win in Rio — and two why he won’t. No matter what happens at the Olympics, Rudisha will leave it as the greatest 800-meter runner of all time. He owns the three fastest performances in history (and six of the top eight), an Olympic title and two world titles. Rudisha is no longer in his prime — he won’t run 1:40 again — but he’s still only 27 years old. Do you really feel confident betting against the GOAT? Rudisha’s 2013 knee injury was a gamechanger. When it hit, he was at his absolute peak: 24 years old, coming off a world record and Olympic gold medal. It took him a year to return, and though he was still fast (he ran 1:42 in Monaco in his fourth race back), he was not the same guy. The Rudisha from 2010 to 2013 went out and led every race and lost a grand total of two 800’s. But when he returned, Rudisha no longer had the ability to demolish fields from the front. Then he tried coming from behind. That didn’t work either. In 2014 alone, Rudisha lost four of his six 800’s, including finishes of fifth and seventh — numbers he hadn’t seen next to his name since he was 18 years old. But Rudisha knew he still had an advantage: the best top-end speed of any 800 runner in the world. Knowing that he lacked the endurance to force that fast pace on the field for the entire 800 meters, Rudisha changed tactics for last year’s World Championships. In every round, he still got to the lead early, but once he was there, he slowed it down. Given his reputation, nobody tried to pass him early. And when they tried to pass him late, Rudisha simply shifted to top gear and held them off. That meant that he was able to rid himself of one of his main rivals for gold, Amos, in the semifinals (Amos was only third in his heat — two men qualify automatically — and because Rudisha turned it into a 1:47 race, he didn’t advance on time). And in the final, Rudisha went out in 54.17 — barely faster than what friend of LRC Cathal Dennehy went through in the media 800 — but came back with a big negative split, running his final lap in 51.67. The bad news for Rudisha’s foes is that Rudisha’s last pre-Olympic race in Hungary on July 18 followed a very similar gameplan — and he ran over two seconds faster, splitting 51.9/51.4 (approximately) for a 1:43.35 (the time in the title of the video below is wrong). If Rudisha runs like that in Rio, he will be very tough to beat. Rudisha may not be in 1:40 shape, but neg-splitting a 1:43 suggests he’s capable of 1:42 or faster right now. 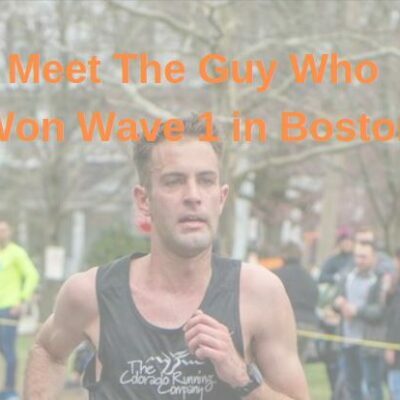 Plus he ran 1:43.4h in the prelims at the Kenyan Olympic Trials on June 30 (at altitude) and his 1:13.10 600 in Birmingham puts him #2 all-time at that distance. Rudisha won Worlds in 2011, the Olympics in 2012 and Worlds again in 2015 (he missed Worlds in 2013 because of the knee injury). Until someone proves he can beat Rudisha in a global championship, he’s the pick. At the Kenyan Olympic Trials on July 1, Rudisha went to the front early but faded into the pack before the bell even though the field only hit 400 in 52 seconds. According to our man in Kenya, Andy Arnold, Alfred Kipketer blitzed the second lap in 50 seconds to win in 1:43.73 (we’re guessing the splits were something like 52.8/50.9). Rudisha was only in sixth with 100 to go but moved up to third by the finish. 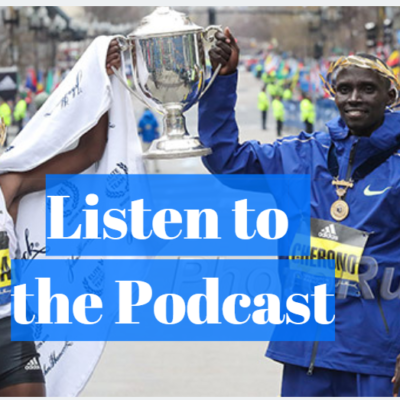 We couldn’t find video of the whole race, but if you watch the final 100 (we’ve cued it up below), Kipketer is clearly turning it over a lot better than Rudisha at the end of the race. Rudisha defenders can point to the fact that Rudisha didn’t win the Kenyan World Champs Trials last year and still won in Beijing. And to be fair, Rudisha ran significantly faster in his prelim the day before (1:43.4) than either Kipketer (1:45.2) or Rotich (1:46.0). Still, it’s a bit worrying that Rudisha was only third in Eldoret although Rudisha’s agent James Templeton seemed non-plussed by it when we bumped into him in Eugene. Templeton said Rudisha was in great shape and didn’t really care if he won the Trials or not. The Olympic Trials weren’t the only time Rudisha failed using his new strategy. At the Stockholm Diamond League on June 16, he led the field through a pedestrian 52-second first 400 (well behind rabbit Bram Som) but couldn’t finish over the final 100 and faded to fourth. Again, Rudisha has an excuse: he’s traditionally done poor in cool, rainy venues (that’s how both of his losses during his unbeatable years from 2010 to 2013 came about) and guess what? It was cool and rainy in Stockholm on June 16. 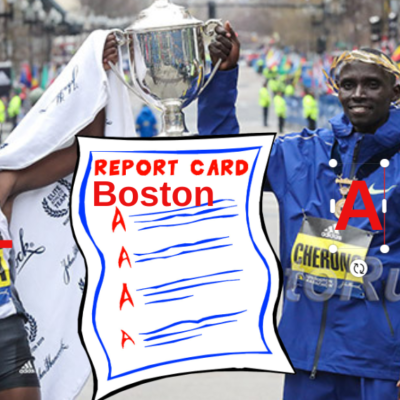 2) What happens if Rudisha has to adjust his plan mid-race? Given the reputation he’s built up over time, most athletes at the Olympics will probably go ahead and let Rudisha lead in the first two rounds. But let’s say you’re a front-runner like Alfred Kipketer or Boris Berian. If Rudisha’s going to go to the front, why let him take it out in 52-53 seconds? Berian’s biggest wins (World Indoors, Pre Classic) have come when he’s taken it out hard from the front and held on for the win. Kipketer also likes to run from the front; he passed Rudisha before the bell at the Kenyan Trials and went wire-to-wire to win in Monaco on July 15. If one of those guys commits to a fast pace early, how will Rudisha respond? For as long as he’s been around, we don’t really know. Rudisha very rarely runs from anywhere but the front. Can he maneuver in a pack at high speed with his long limbs and stride? Of course, this point is only relevant if Berian or Kipketer makes the final. And if they do, will they take it to Rudisha? As good as Berian is, he’s still relatively inexperienced on the international stage. His breakthrough race came last year from following Rudisha to a big 1:43 PR in New York, and after that race he was so starstruck that he asked Rudisha for a photo. Berian is no longer star struck – he now wants to beat the Kenyan. “Boris said, ‘I don’t want [the photo] anymore. From now on I’m going to kick his (rear end),'” Berian’s coach Carlos Handler told Scott Reid of the Orange County Register. Wanting to beat Rudisha is one thing; seizing the lead from him in the Olympic final is quite another. Of the two, Kipketer is probably more likely to adopt this strategy. He’s no stranger to making bold early moves in races, and he has the confidence of a win over Rudisha in his back pocket. 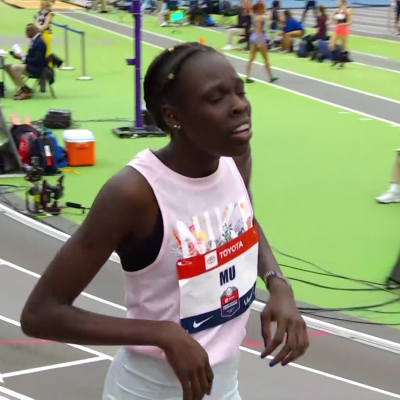 That being said, we don’t think either Kipketer or Berian would let the final go out in 54. You can argue that Rudisha’s 1:43 in Hungary should be worth more, but nobody has run incredibly fast in 2016. If his 1:43.35 holds up, it would mark the first year since 2007 that nobody broke 1:43. Barring a surprise, no one will arrive in Rio with a massive fitness advantage. And that makes tactics and positioning crucial elements to success. Every decision in a race brings both positives and negatives. Run in the front and you run the least distance and are less likely to be tripped. But you also face the most air resistance in addition to the mental strains of leading. Run on the leader’s shoulder and you’re well-positioned to respond to any move, but you wind up running extra distance. Run at the back and you get to see the whole race and run more relaxed splits (if that’s your thing), but you also have to navigate past seven bodies on the second lap which can be a big problem if it’s slow. Fitness can trump tactics when someone has a distinct advantage, but in a year where no one has stood out in the men’s 800, the men who make the best in-race decisions in Rio are going to be the ones who wind up on the podium. In such an even year, there are a ton of guys who could earn a medal. Let’s run through them one-by-one. Alfred Kipketer, Kenya, 19 years old (1:43.73 sb): Kipketer is still young, but he’s no longer the raw prospect of a few years ago who blasted the first 400 in 48 seconds (MB: 16-year old Kenyan goes out in 48.32 for 800, holds on and (barely) wins World Youth Gold), racking up comical positive splits. He won World Youths in 2013, World Juniors in 2014 and made the World Championship final last year in Beijing. This year, he’s started beating the best in the world, defeating Rudisha and Ferguson Rotich at the Kenyan Trials and running a smart race in Monaco to defeat European champ Adam Kszczot. Kipketer is in great form and only getting better. Pierre-Ambroise Bosse, France, 24 years old (1:43.88 sb): Anyone who’s won two Diamond League events, as Bosse has in Rabat (May 22) and London (July 22) has to be a threat to medal at the Olympics. Bosse beat Rotich and Amos in the latter race, Makhloufi and Amel Tuka in the former, so he’s not beating up on scrubs, either. He has struggled a bit in finals in his career, however. He entered Europeans as the favorite in 2014 but wound up last and was only fifth this year. Even making a World Championship final is hard, so we’re not going to knock Bosse there, but he was only 7th (2013) and 5th (2015) in his two appearances. 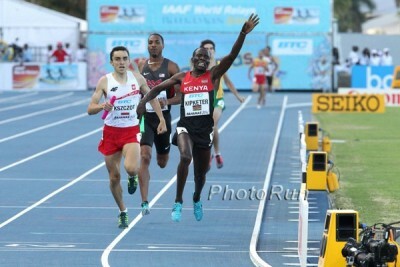 Ferguson Rotich, Kenya, 26 years old (1:44.05 sb): Rotich won Diamond League races in Shanghai and Stockholm and was second at Pre; he was also second at the Kenyan Trials, ahead of Rudisha and third at the London DL on July 22. He’s run 1:42 and can race with anyone (he’s 3-0 against Rudisha this year), but recently he’s come up just short in championship finals: 4th at the Commonwealth Games and African Champs in 2014, 4th at Worlds last year. Adam Kszczot, Poland, 26 years old (1:44.49 sb): Don’t let the sb fool you. Kszczot took silver at Worlds last year and won the two post-Worlds DL events in Zurich and Brussels before going undefeated indoors in 2016. Outdoors, he’s been in every race (4th at Pre, 3rd Stockholm, 2nd Monaco) and came through when it counted, ripping apart a solid field to defend his European title on July 10. If he’s got room to run over the final 200 meters, watch out. Taoufik Makhloufi, Algeria, 28 years old (1:43.92 sb): Makhloufi has only run three 800’s this year, just one on the DL circuit (he was 2nd in Rabat), but he has gotten faster each time out, going 1:44.91, 1:44.40, 1:43.92. The 2012 Olympic champ has also improved in his 1500/miles this year, going from 3:52.95 (5th) at Pre to 3:52.24 (3rd) in Oslo to 3:31.35 (3rd) in Monaco. All that makes it look like Makhloufi is peaking at the right time. 1500 is Makhloufi’s better distance, but the 800 is first in Rio and his strength will help him if he can survive the rounds. 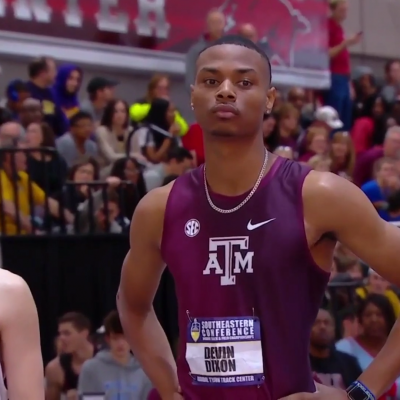 Brandon McBride, Canada, 22 years old (1:43.95 sb): McBride enjoyed a stellar senior season at Mississippi State and was only denied a third NCAA title by the brilliance of Donavan Brazier. He ran a PR of 1:44.50 in that race, and followed it up with his second Canadian title, a 1:44.90 for 4th in Monaco and a very impressive 1:43.95 pb for 2nd in London. Like Makhloufi, McBride is running rounding into shape nicely for the Olympics and his increased emphasis on strength work this year should serve him well in the rounds. Nijel Amos, Botswana, 22 years old (1:44.66 sb): Amos was the silver medallist in 2012, the world’s best 800 man in 2014 and our pick for gold last year. But he’s been underwhelming in 2016, running just 1:47 in his opener in Rabat and finishing just fourth in his final Olympic tuneup in London. He did win the African Champs on June 24, but he needs to show more than that for us to have confidence in him in Rio. We could list a ton more guys here — 2015 Worlds bronze medallist Amel Tuka of Bosnia & Herzegovina (only 1:45.23 sb and only 4th at Europeans), 2013 world champ Mo Aman of Ethiopia, Euro silver medallist Marcin Lewandowski of Poland, 2013 bronze medallist Ayanleh Souleiman of Djibouti — but we’ve only got so much time. Let’s just move on to the Americans. Can Clayton Murphy or Boris Berian End the U.S. Medal Drought? From 1900 to 1992 — a period that encompassed 21 Olympics — American men won 20 medals (7 gold) in the 800 and never went more than 12 years without a medal. The gap currently stands at double that, as no American man has medalled at the Games since Johnny Gray‘s bronze in 1992. The good news is that the United States has two men on its 2016 team more than capable of ending that drought. Let’s begin with Berian. The reasons for optimism are obvious. He is the World Indoor champion thanks to his brave 1:45.83 from the front in Portland (the fastest indoor time by an American in 13 years) and followed that up by winning his first Diamond League event at Pre, employing the same tactics to hold off a deep field that included Rotich, Aman, Kszczot and Tuka. In fact, Berian has lost just two races all year — both to his U.S. teammate Murphy. Plus it can’t hurt that Berian hasn’t had to deal with the distracting Nike lawsuit since Nike dropped it on the eve of the Trials. 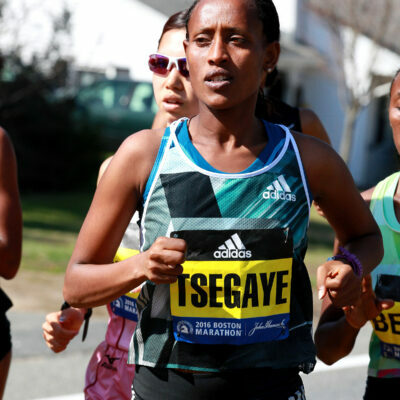 Running from the front, as Berian is wont to do, carries risk, but it can be a brilliant strategy for the right athlete. Duane Solomon made his bones as a front runner and he wound up fourth at the 2012 Olympics and sixth at the 2013 Worlds. It’s not hard to imagine Berian, who ran 1:43 twice last year at age 22, reaching a similar level. Murphy’s prospects are even brighter. Though his PR is not great by international standards (1:44.76), that’s not really relevant: Murphy runs to win. We just mentioned it, but it’s worth repeating: Berian has run in a World Championship final and against top Diamond League competition this year, yet Murphy is the only man who has beaten him, and he’s done it twice. Murphy is also coming off a confidence-boosting 1,000-meter win against Matthew Centrowitz in Houston on July 23. Centro closed in 25.0 but that still wasn’t enough to overhaul Murphy, who ran almost as fast over his final 200 meters. In a fast, rabbitted race, Murphy could likely run 1:43/3:34 right now. Murphy also has some serious racing chops for a 21-year-old. He’s already represented the U.S. three times overseas, winning Pan Ams, taking silver at NACACs and making it to the semis at Worlds in 2015. He measured his effort perfectly in destroying a loaded field in the NCAA 1500 final, and did the same to win the Olympic Trials in July. Murphy is always comfortable wherever he is on the track and is one of the rare guys whose form doesn’t change, even when he’s kicking hard in the home stretch. Just look how smooth he was in the home stretch of the Olympic Trials. What’s most exciting about Murphy is that we still haven’t seen what he’s fully capable of. 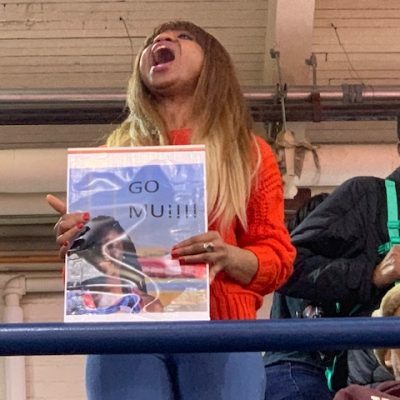 He’s only lost once since January, and that came on a windy day in Seattle at the Brooks PR when Murphy was running his fourth race in 11 days to try to hit the Olympic standard. Put him in the Olympics and there’s no telling what he might do. The only knock on Murphy is we’re not sure how fast he is for a flat out 400. Ultimately, the 1500 may be his best event. The final member of Team USA, Charles Jock, probably won’t be a factor in Rio. He barely scraped through the rounds at the Olympic Trials and then ran by far the best race of his season to grab the third spot. He’s run 1:48 and finished dead last in each of his two post-Trials races, so even making it to the semifinals looks to be a longshot for Jock. Rudisha isn’t the heavy favorite he was four years ago, but he’s the defending world champ and just negative-split a world-leading 1:43.35. We trust that with his speed, he’ll get it done in Rio. 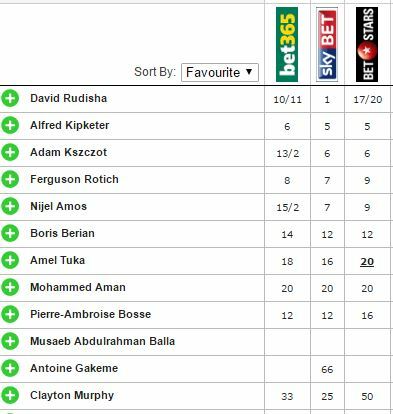 Kipketer has been brilliant recently and after wins at the Kenyan Trials and in Monaco, he’s our pick for second. We were really tempted to pick Murphy for third, but we’ll go with Kszczot, who looked great at the European Championships and came up just short of gold last year in Beijing. 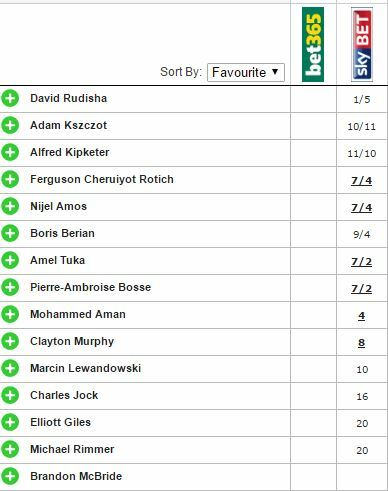 Lookig at those odds, we’d stay well clear of Rudisha. 5 or 6 to 1 for Kipketer or Kszczot is tempting and we’d definitely put some money down on Brandon McBride at 25 to 1 and Clayton Murphy at 8 to 1 to medal. Vote in our poll below and then talk about the event on our messageboard. Who will win the men's 800 in Rio? How will Clayton Murphy fare in Rio? How will Boris Berian fare in Rio?